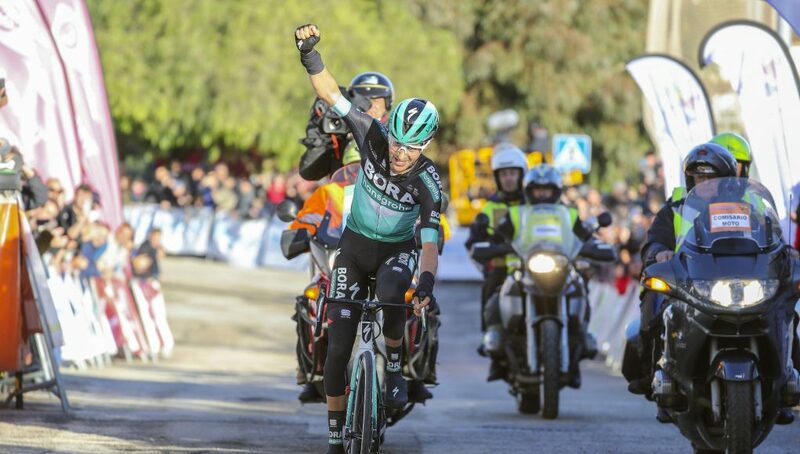 Emanuel Buchmann (BORA – hansgrohe) soloed to victory at the Trofeo Andratx – Lloseta (1.1), the second race in the Challenge Mallorca series. 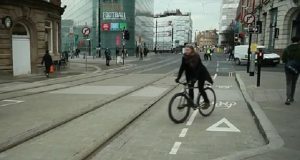 The race was one for the true climbers. A parcours packed with up and downs on twisty, narrow roads promised another exciting day in the saddle, while the rainy weather conditions in the beginning made it even more difficult for the riders. 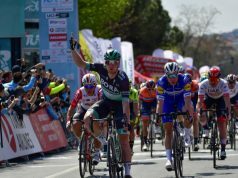 The race start in Andratx was followed by the first uphill sections, where the first riders tried to break away from the bunch. 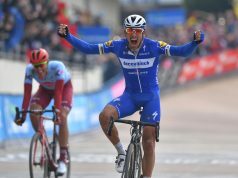 However, it took more than 20 kilometres until a group of four was finally able to break away from the peloton. Movistar took control of the bunch and the gap to the escapees was controlled at around 3 minutes.. 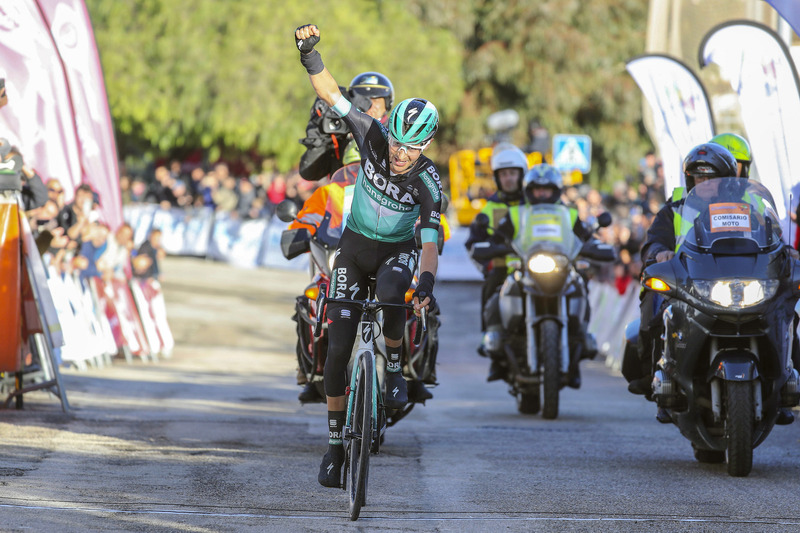 The Puig Major awaited the riders, and today BORA – hansgrohe had even more cards to play, as Patrick Konrad and Rafal Majka were joined by another two strong climbers in Emanuel Buchmann and Pete Kennaugh. The bunch accelerated on the climb, and three of the escapees were able to hang onto a 40″ lead. But Movistar kept the pace high on the descent and with 25 kilometres to go, the break was finally caught. Emanuel Buchmann then took the opportunity to launch an attack and giving it his all, the German was able to open a 40″ gap. 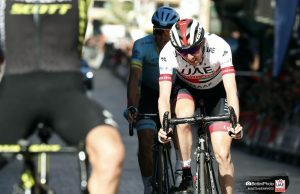 With 10 kilometres to go, a strong chasing group of six tried to catch up with Buchmann, but he kept his focus and defended his lead. In the end he took an invaluable victory in Lloseta after soloing the last 20 kilometres. 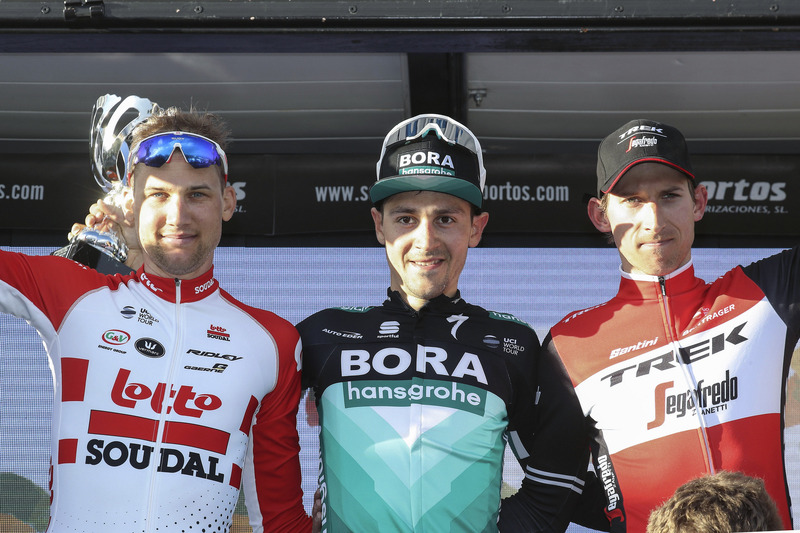 Tim Wellens (Lotto Soudal) was next over the line 16″ down with Bauke Mollema (Trek – Segafredo) in third a further 3″ down.